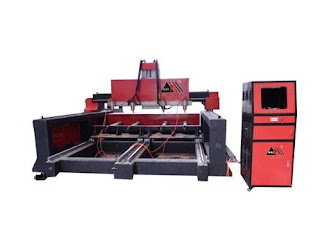 Three dimensional CNC Router is the integration of computer technology and laser technology and mechanical processing technology equipment, through a variety of technology to a variety of wood, metal, PVC, glass, plastics, rubber, organic glass, etc. as the basic, carving out have a three-dimensional effect of the works. Three dimensional CNC Router application range is very wide, and even replace the manual CNC technology, for the production of large quantities of rapid production laid the foundation. Three dimensional CNC Router technology is mainly used for acrylic, PVC card, wood, marble and other materials, strong cutting, 3D characters, text, pattern, relief, appearance, mosaic, advertisement, arts and crafts products, badge, non metal or copper, aluminum can fine carving, store ads decoration industry indispensable good helper. Now all kinds of building models to be realistic, lifelike, smooth lines, high technology content, and fashion, elegant, suitable for a variety of business.